If you are using Internet Explorer browser, scroll down and hover your cursor over the bottom of the form image to view print options. Designed to assist the forensic photographer/criminal investigator in the photo documentation of physical evidence, including tool marks, latent prints and other trace evidence. Two-piece set includes black on gray and UV model with florescent orange on gray. 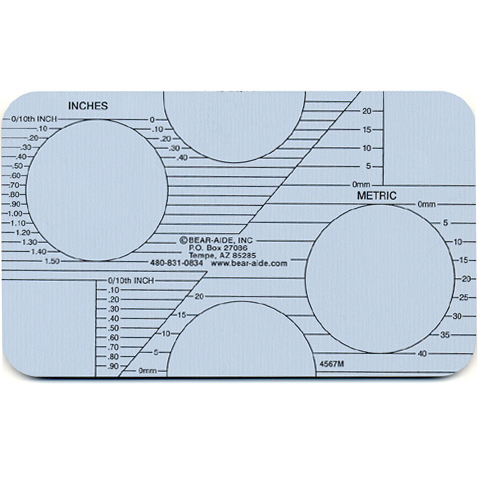 Printed with both inch and metric graduated markings. Circular and square cutouts allow scale to surround evidence being photographed.Comes in a sturdy black leatherette carrying case. Size 3" X 5" each. Price includes shipping & handling. Click on product thumbnail image to view large image. The 3"X5" mirror is high quality and useful for directing light into crevices and side lighting footwear/tire impressions. The opposite side is gray with the same scale as the Forensic Photography Scale (model #4567) printed in black. 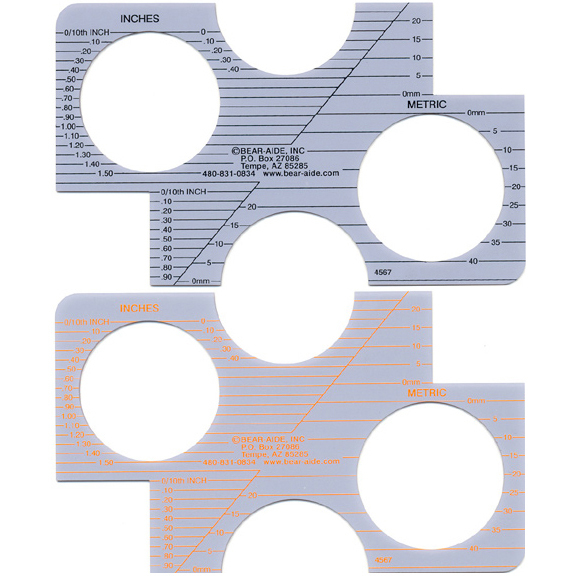 There are no cut outs allowing small objects (such as bullets) to be placed on the scale within the printed circles for accurate photo documentation. Comes in a leatherette case. Size 3" X 5". Price includes shipping & handling. Click on product thumbnail image to view large image.